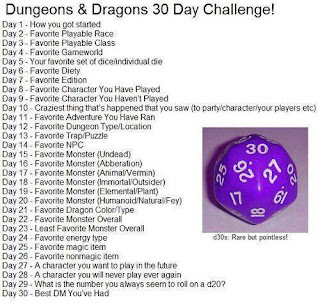 Weird Opera: D&D 30 Day Challenge: I'm In! 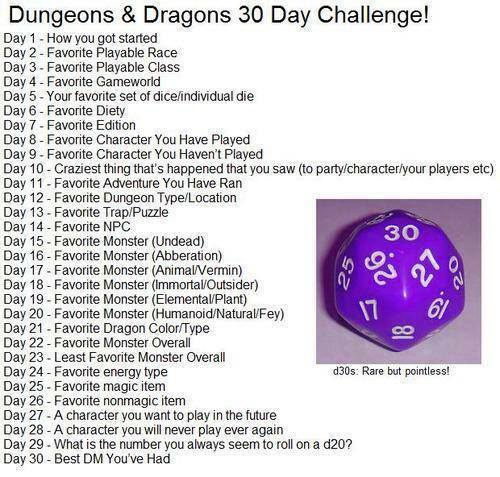 A few are trying the 30 Day Challenge this month, and I think I'll give it a go. I'll be using my whole gaming past and present, which include BECMI, AD&D 2nd Edition, 3rd Edition, and even a fling with 4E.